Snacks are something which are a must on every day evening after a long tiring day of work with a steaming cup of tea or coffee. In fact, the pattern of snacks changes from one season to another. The one which is eaten is summer is not a very popular snack item in monsoon or in winter. There are endless varieties of snacks which one can try on. It is a good idea to not to gorge on street side snacks as they are mostly oily and friend and they do not have much high hygiene. They are not at all good for health. One needs to add some healthy snacks in their daily food routine for the sake of good health. One can cook different types of snacks at home as they will be healthier than street foods or munchies. In fact, one can go for those snacks which are made from less oil. 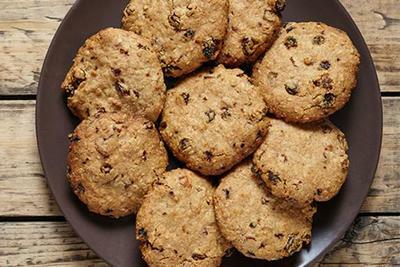 One can look for dry snack recipes Hindi from cooking websites or from recipe books. Here are some easy snack ideas which you can have a look on. Daal-Based Pandoli: Daal or lentil is always there at home. When lentils are steam cooked to make this delicious snack it is healthy too. It has a lot of proteins, iron, calcium and folic acids. One has to soak the lentil for at least two hours before cooking because it increases the digestibility and is good for stomach. One can make moulds out from this and then steam them in shape. They are light and one can add chilli powder for more taste. Savory Herb Whole Grain Crackers: if you have whole wheat flour at home then there is nothing else needed to make this crispy snack anytime. They are rich in fibre and they are baked (remember not fried) and so they have no oil in it. So it is a delicious snack and a nutritious intake at the same time. Coriander Vadis: This snack item is very popular in Maharashtra. But here you are not supposed to use oil and fry them. 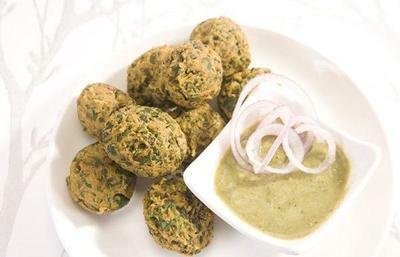 Use a low fat curd and green, fresh corianders to prepare these vadas. They are healthier than the fried ones and go very well with tea or coffee. 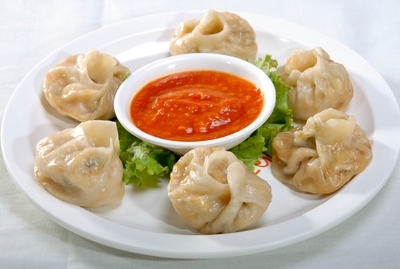 Momos: These are the best possible steamed snack items which can be made at home. One needs flour and something which can be used as momo filling. You can take boiled minced chicken or a mixture of bean sprouts and broccoli and then make a momo filling out of it. Then they are steamed to form delicious momos. There are fried momos available as well in the street stores. It is better not to go for them. Varieties of Chaats: Any kind of chaat is finger licking. They are not vey oily and so not harmful for the human digestive system. You can also make chaats from different items. In summer fruit chaats are very popular as fresh fruits are cut and then salt is sprinkled on it. Boiled potato chaats and chickpea chaats are also popular. One can search for dry snack recipe in Hindi in food magazines.